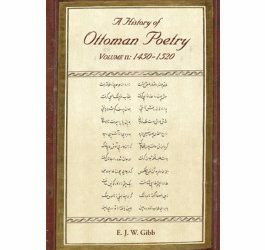 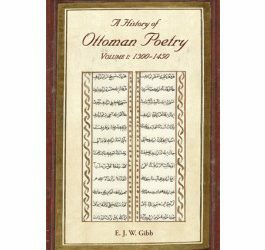 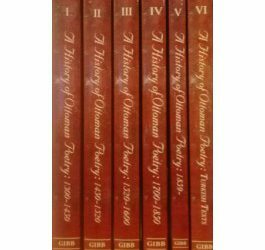 Volume III (originally published 1904) covers both the second part of the ‘classical age’ of Ottoman poetry, from 1520 to the early seventeenth century, and the subsequent ‘late classical age’ to c. 1700. In Gibb’s understanding, this was the era of greatest Persian influence upon Ottoman poetry, and was at its most brilliant in the reign of Süleyman (1520-66). The majority of the most well known Ottoman poets flourished in these two centuries, drawn from all walks of life and many parts of the empire, from the chief jurisconsult Yahya Efendi (d. 1644) and the chief judge Baki (d. 1600), to the Nakshbandi sufi Lami’i Çelebi of Bursa (d. 1531), Fuzuli of Baghdad (d. 1556), the Albanian-born soldier Yahya Bey (d. 1575), the satirist Nef’i from Erzurum (executed c. 1635), and the man of letters from Urfa, Nabi Efendi (d. 1712). In addition, eight of the most popular verse romances written in this period are summarised in an appendix.